EXCLUSIVE! 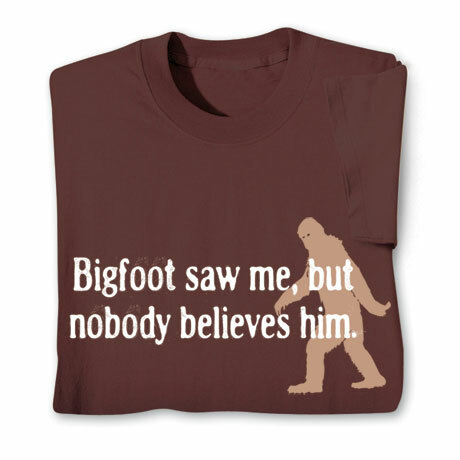 Is that you in Bigfoot's grainy cell-phone video? 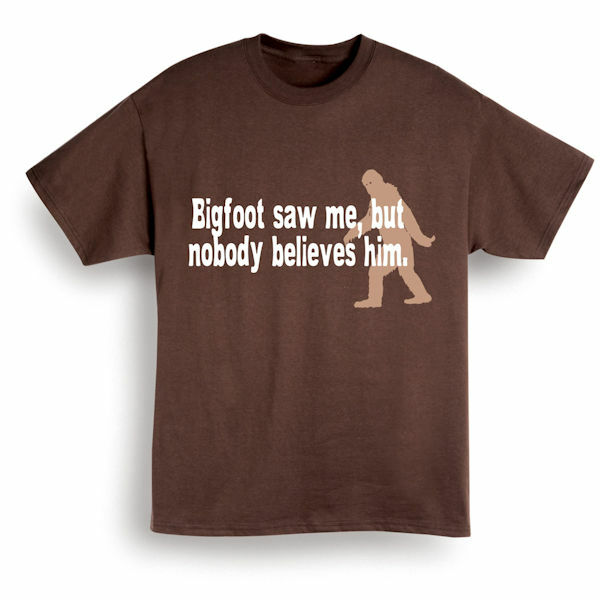 For those who are legends in their own minds, chocolate T-shirt is preshrunk 100% cotton. Sizes S-3XL. Imported.